Dmitriy is a hard-working and highly skilled iOS engineer with over 4 years of production grade experience, and genuine passion for mobile development. He is very detail oriented and focused on achieving set product goals, delivering fully functional iOS apps. Has exceptional time management and team working soft skills. Unfold is a toolkit for storytellers. 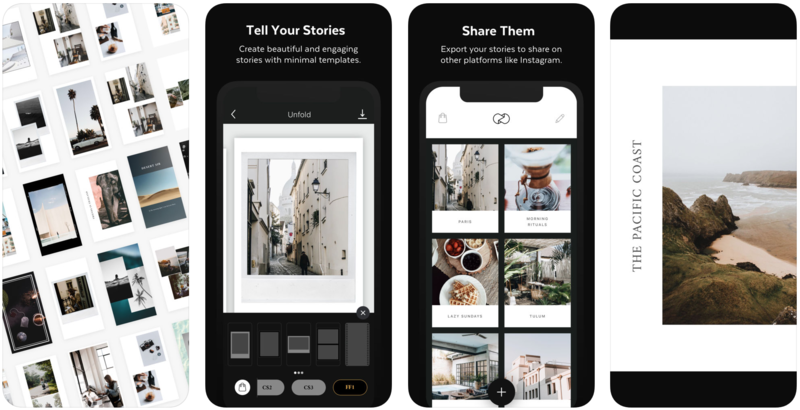 Create beautiful and engaging stories with minimal and elegant templates. Features: · Templates 25 templates + 45 premium templates. Tell your story how you want to. · Fonts 5 fonts + advanced text tools. Set the mood of your story. · Photo & Video Support We support photo and video media. Storytelling has no limitations. · High Quality Export Export your stories in high resolution for seamless sharing to other platforms.